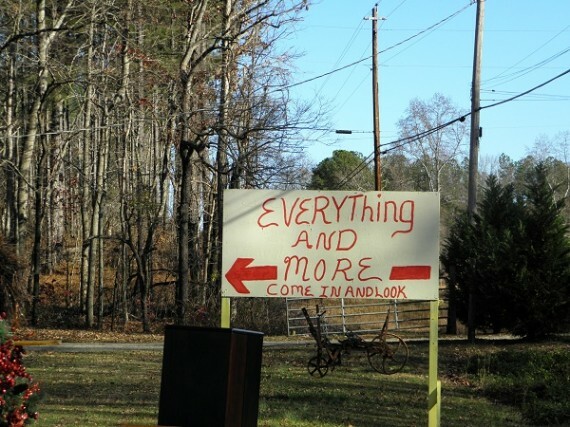 I like the name of this one: Everything and More. And that is exactly what you’ll find inside. Most of it is junk, but there were a few treasures to be found. Again, we didn’t buy anything because we have not closed on the house, or even been given a closing date yet. But I can assure you, if some of these things are still there, they will be in my new house. 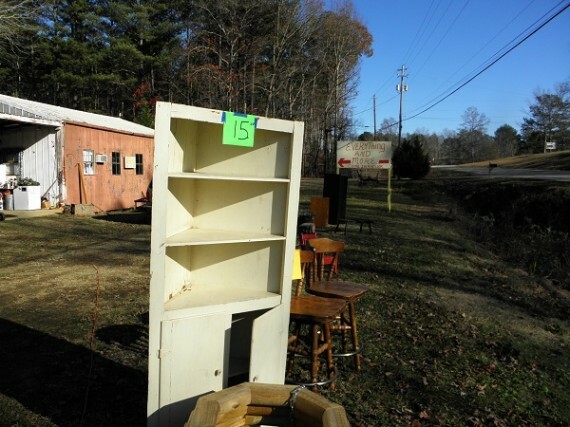 This cute corner cabinet was priced at only $15. 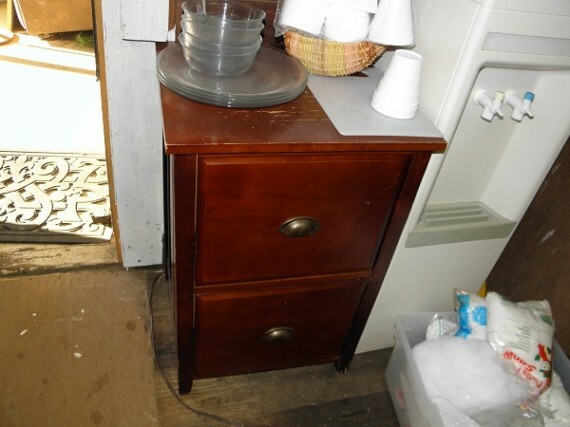 A little paint and elbow grease would make this a very cute storage unit for the little bedroom or even the bathroom. 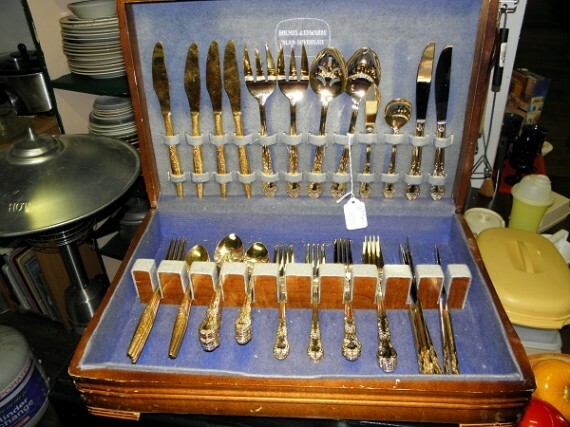 This silverware case contained two complete sets of gold colored flatware. I’m not crazy about the color, but it was marked $45, and the guy said he’d take $30. If you want matching flatware, it’s a very good price for it. 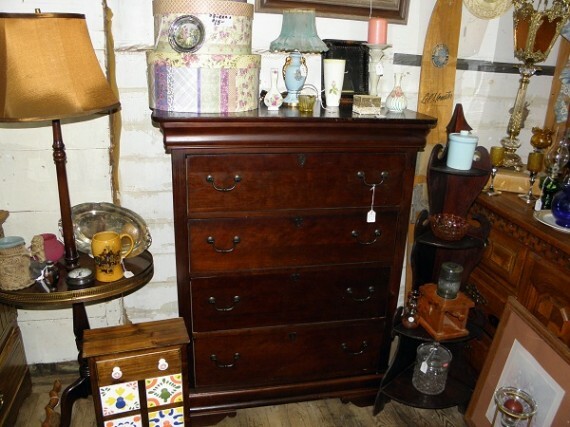 The Broyhill chest of drawers is in very good condition. The price tag says $150 but I would ask if he would take less for it. It it is still there when we are ready to buy, this is the piece I’d get for my living room. It is too pretty to hide in the bedroom. 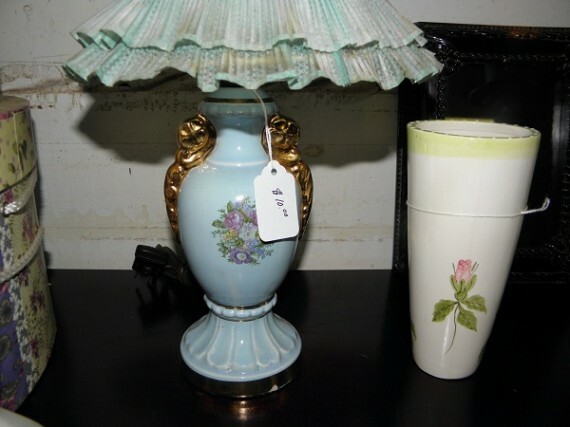 I liked this cute blue ceramic lamp. It has a matching shade, $10 for it. Not bad. I’m loving these dinner plates. 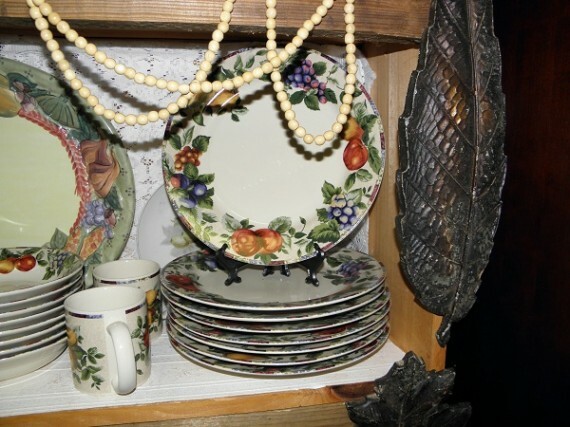 I didn’t see any matching pieces, but I like the plates. Very nice. I also didn’t ask the price. I wish I had bought these lamps. They have a metal base and a “cameo” looking embossed on the vase part. They were priced at $8 each. This wooden file cabinet would be great in my office. $12 makes it a great buy, too! I didn’t get the price on these ceramic bowls, either, but I like them. 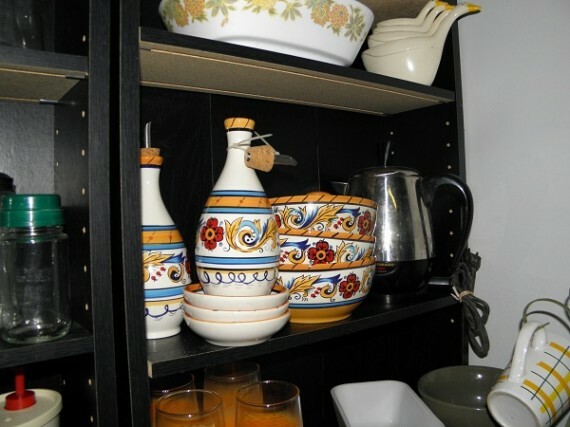 I also like the casserole dish you can almost see on the next shelf up. It said Noritake on the bottom of it. If they’re gone next time we go, oh well. But if they’re still there, they will belong to me. All in all, today was fun looking at all this stuff. 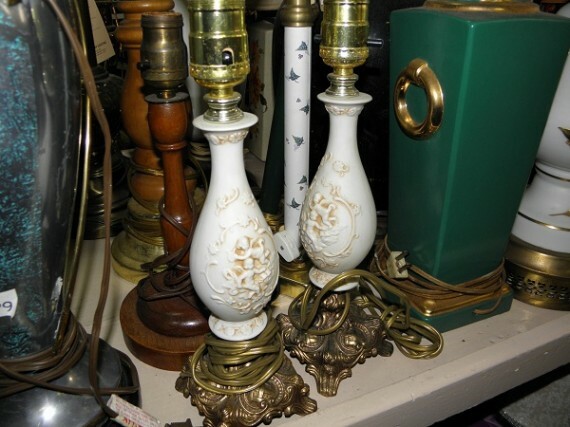 What was your best “find” at a thrift store? Man, you got some great finds! i love thrift shopping but I haven’t gotten anything nearly as good as you! I am such a thrift store junkie that I had to ban myself this year! I have a vintage camera addiction! Next year is fair game again for me! Fantastic finds!! !